In my opinion the UK has led the way for some time – it’s a very sophisticated marketplace with multiple players. That doesn’t mean the UK is standing still. The UK recycling market is the most competitive and advanced in Europe. But even here there is still room for growth, particularly in our sector. We know that 84% of consumers believe that companies should do more for society (Ipsos Mori) and recycling is a major contributor to CSR which is driving more companies to start recycling or increase their recycling rates. So specialist providers like GSUK are responding by creating more flexible solutions and greater innovation to extend the reach of recycling services. UK is similar to what we are seeing in many of our international markets – an industry which is constantly changing, evolving in fact as recycling capabilities increase to match the depth and breadth of the latest technology available such as the latest wearables. 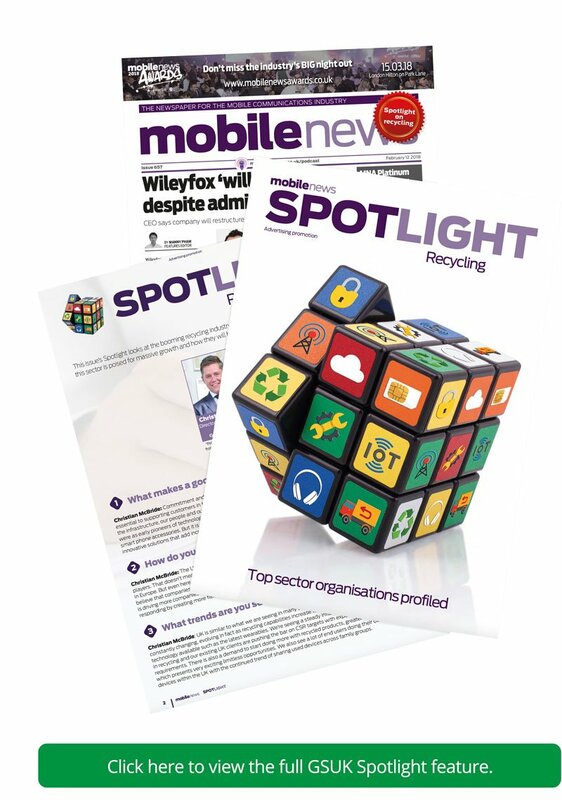 We’re seeing a steady influx of new clients in the UK interested in recycling and our existing UK clients are pushing the bar on CSR targets with expanding technology recycling requirements. There is also a demand to start doing more with recycled products, greater harvesting opportunities which presents very exciting limitless opportunities. We also see a lot of end users doing their own recycling of devices within the UK with the continued trend of sharing used devices across family groups. Some of our most important clients have selected us on the basis that we can give them a risk free end to end solution. Our ability to recover obsolete, end of life or faulty technology stock, regardless of its condition, from anywhere in the world, process it, find new value in it which we share with our clients and all this without asking our clients to take any financial risk. Without our infrastructure, the facilities at our processing plant and our phenomenal staff, we wouldn’t be able to uphold this USP enabling us to become a market leader and provide a trusted service for our customers across the world. The growing appreciation of value to be realised from what was perceived as waste. When GSUK first started out, our clients were shocked by how much value we could create for them, but it was still a low priority workstream for many organisations. CSR is now front of mind and combined with the explosion in technology along with consumer demand for the latest gadgets, the volumes of waste are increasing, and the types of technology waste are changing. So we’re seeing more wearable technology organisations see real value to the bottom line and the softer metrics in having a robust plan for responsible waste management. The opportunities are limitless, especially if you can offer a seamless service for customers across international borders. 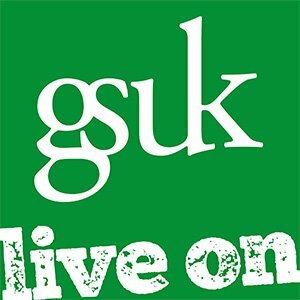 For GSUK, impending BREXIT presents even more opportunities than barriers. requested otherwise. Our rule of thumb is 100% reuse and we have a zero tolerance to landfill. Upon receiving products, they undergo a process which involves, cataloguing, refurbishment, grading then followed by rigorous testing and then repackaged for dispatch. In parallel to this, our channel team are identifying new uses for the product through our global redistribution network. Any product unsuitable for reuse is recycled in accordance WEEE regulations. Finally, reports are collated and shared with clients and value is shared in accordance when new uses have been secured. Protection of personal data is critical and very much front of mind for consumers and businesses as we move closer to the launch of new data protection laws in May this year. Our clients want to be able to offer their customers that their data is safe, and this extends to the second-hand market. Genuine Solutions is accredited to ISO 27001 ensuring that we have the approved management systems and processes in place to safely and securely remove all sensitive data from devices before releasing any devices back into the marketplace. This gives our clients the much needed peace of mind to maintain the end user’s trust. Mobile and smartphone accessories are the most popular such as chargers, data leads and personal hands free and they come to us in any state, but we are seeing a diverse range of technology products as the rate of new technology increases and consumer take up of wearables and home monitoring tech becomes more widespread. You can bet that whatever is hot on the shelves right now in technology world, is soon after landing in our recycling processing plants as companies are always dealing with faulty or returned stock and a rapid pace of change rendering almost new product as obsolete. These issues create logistical challenges which are more easily overcome by recycling and the secondary market on a mass scale. Consumer demand for the latest tech means that across the board all handset manufacturers are releasing new versions of their products on a regular basis. Handsets that are deemed to be old or no longer on trend, are given a new lease of life through Genuine Solutions’ recycling and repurposing of technology enabling them to hold value in other markets where there are tighter financial constraints. Yes, most definitely. Smartphones are constantly evolving and due to this, handsets that once desired are not longer required. These handsets still have a value, and this is where we come in by working closely with all our customers to maximise the revenue potential of these handsets. The iPhone and similar leading smart phone brands have been major contributors in the growth of recycling. Manufacturers promote the wonders of their latest and greatest offerings, encouraging consumers to invest in the latest release and handsets are not as robust as they once were. The result is more and more handsets needing repairs and consumers wanting to off load what they see as old and tired kit. Apple changed the game when they introduced their first iPhone in 2007. They were the first to establish an emotional connection between a device and its owner – not just a piece of tech anymore but a lifestyle statement. The recycling market might be in a very different shape today without their influence. If a business has a compelling proposition, there is always an opportunity to enter any market particularly if there is something unique in that proposition. But it has taken GSUK many years to refine our knowledge and service offering and it is considerable investment to achieve the safety and operational accreditations needed to deliver this highly specialised type of recycling. So, our market in the UK is probably not the most attractive to new entrants. However, there is greater scope for complementary businesses to work alongside technology recycling providers like GSUK to exploit the new uses mantra of the circular economy. Home connected devices, wireless headphones, wearable tech and trackers are all selling big now so understandably, we are starting to see more of these sorts of products requiring waste management solutions. But longer term developments in our industry will be around our response to the major technology advances such as Internet of Things (IoT) when we’ll see a whole range of connected devices and products beyond our current expectations. At the moment, there is no time to stand still but it presents many exciting opportunities for the future.